NO! When did they go???? Did you not contact the Council to try and save them... Have the columns been replaced as well and I guess it's Iridiums in their place..
Not all quite lost as I have got a 135w one from elsewhere but its bowl less so I'm going to make a FCO version with polycarb sheet. I might have guessed something was due to happen. The Countess roundabout at Amesbury on the A303 has also been relit, but 2 weeks ago this one hadn't been touched despite all the other replacements being done. Fortunately no other Bricks were lost only SGS203s and ZX3s. They went a month or so back. When we were driving up to it my heart sank and I saw Iridiums on 8m columns, and then 10m columns and then 6m columns. Unfortunately all the Bricks had gone when I went past. Most columns had been pulled up, some had been chopped off half-way and some just had their bracket cut off at their outreach. The replacement... Iridiums on stub & short brackets, each with their own column. Some Iridums have medium brackets, and some have short, and some stub. The SGS 252s are post-top at 6m. There is a mid hinged column where the MA90 was. The 10m columns are only around the roundabout, and the 8m ones are few first Bricks. The bowls range from Deep to flat glass. Amesbury had cut off brackets too on the old columns. Looks like I need to record/check the remaining Brick installations in Wilts pretty quick, although the Semington ones were in the worst condition compared to all the others. I take it the Melksham (Spa) ones are still there? Interesting that SGS203s are still being installed though, the same thing happened south of Amesbury earlier in the year. I do not no if 'The Spa' ones are still there. My guess is that they are because none are taped up however it's not somewhere where I can easily get to. I can try to persuade my mum to go to Whitehall after going to Granny's on a Sunday because we go through that roundabout but I don't really have a way of knowing otherwise. A double Z9554 pair was replaced in Melksham recently, and from what I can see, only one Iridium has a photocell. The same upcranked double bracket & column were used and one has a deep bowl and the other flat glass. They are really quite heavy on Iridiums at the moment. In Devizes an 8m long upcranked outreach MA90 is being replaced with a 6m post-top small Iridium. It's the first time I've properly worried about the lighting in this area. Alex says Beckhampton is still there when he went through it, about a month ago. Hopefully that roundabout has a lot of life left in it yet - If it was due replacement then they probably wouldn't have retrofitted an Iridium. I've been waiting all this time to see your pictures you took. Indust - pictures hopefully tonight as a tribute to Semington. I was going to post them this am before I went to work but Fotopic was down for maintenance. I went to Bristol by train again today. At Bradford on Avon where that building next to the railway line was demolished, you can now see (if you are sitting with your back towards Bath and on the "inside edge" of the coach) that there is a GEC Clearmain wall mounted on the stone building now made visible by the demolition. At Keynsham, they are doing a "PFI" in terms of pulling out columns needlessly on the platform. There were already galv Abacus columns with outreach brackets and these are being replaced with galv Abacus columns with ZXU1s mounted post top. The entire station has been relit. Alex - those 12m columns you pictured, both Indust and I had spotted them before. We think they "belong" to the car park. Yep that old building has quite a few Clearmain lanterns. I did say a while ago if people wanted I could try to save one or two but nobody replied... I still can if people are interested. I'll need to find out who is incharge of the project/ demolition though. Are the Albanies still at Avoncliff? I hope those get replaced too. Trowbridge railway line still has those old lanterns mounted on telegraph poles. They don't have lamps or anything and they are so old the metal has rusted through and fallen out. I'm really surprised you haven't seen them yet. They aren't too hard to find. Well I would be interested in a Clearmain, and yes I saw the old lanterns at Trowbridge..
Beckhampton Bricks up loaded to the Wiltshire Section of Wessex Streetlighting and also some more pictures from Devizes. More to come soon. Is this example still around? Interestingly yes and not replaced and this one still hasn't been pulled out! And this is all completely different now. As well as Sapphires on the right hand side, there are also father & son Sapphires on the other side. On thick columns... The Sapphire 1s come out about half way. Sapphire replacements have gone all the way down to the SGS 203 and Fabrikat just before the zebra crossing. I'm not sure if they are going to remove the other GR100s behind the zebra crossing but that goes into the council's place and they probably won't touch it until the library gets demolished. It's not too much of a big loss so far because only one GR100 has been replaced and the rest SGS 203s. The SGS 203 has gone with the bracket, but interestingly the column still remains but everything else was just removed with no faffing. New traffic signals are there too and *I think* there are new Thorn Oracle lanterns off the Sapphire road. I can't put my finger to it though. No pictures yet but I'll try soon. Yeah. I mean they were rare already since MI26s have retrofitted themselves to nearly everything. Old SOX lanterns like ELECO HW505s, Phosco P152s, Old GEC Z9530s, Ludicors etc can be found. Some have probably been replaced because of the Iridiums, but all the ones I knew about before are still standing. I don't particularly care if the MI26s get replaced, it's the rare S&L, AEI, GEC and cast-iron type columns which I am more worried about as when an installation is to be replaced, they rip out a new column and put in a new one with a post-top Iridium [mainly black ones for side roads]. They probably only do this because the bracket diameter would be too thin for the Iridium to grab hold of. 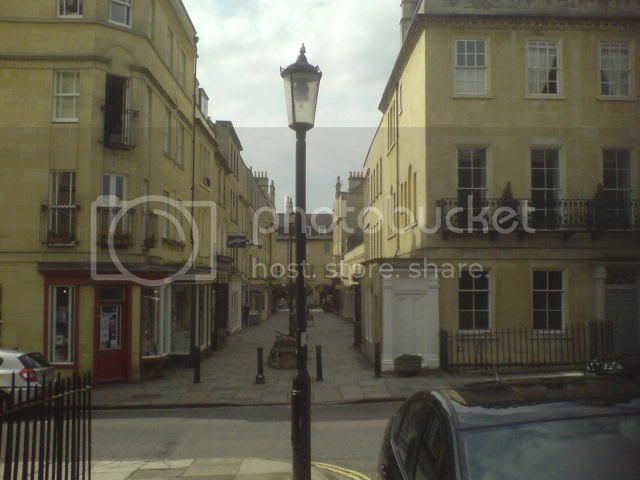 Whilst I've got the website open, do you have any idea what this lantern in Bradford-On-Avon is? [2nd picture] I've never seen one anywhere else so must be reasonably rare. there are only 3 bridges across the river (ignoring the railway) and that looks like one of them. It doesn't look like the main road - A363, so it could either be Barton Bridge - south west of map or the bridge further north by the 2 churches. Oh no I know where it is, I was just wondering if you know what it is? One thing that isn't so bad is that our county will be a little SOX haven in the next few years when the neighbouring counties [except Gloucestershire?] have lost most of their SOX. I'd have to move if it was ALL Iridiums in the SW. Doesn't look very GEC to me, almost like like a mismatch of parts from different manufacturers. As for the Phosco/Eleco ones without access to Mr Cornwell's site its difficult to tell although I think they have been identified before - just can't remember what. Sort of lighting related... the St Marks roundabout in Salisbury (A36/A338) has had all the sign post columns for the roundabout keep left signs replaced in the last week with new galvanised sign posts and new sign lights as well as some of the speed limit sign posts on the approach replaced, again with new lights. Freshford station is also looks to have been recently relit with Sapphire 1s rather than the more usual ZX1s/ZXU1s, whilst Dilton Marsh seems to have aluminium columns possibly with an internal wind down mechanism for the lanterns - although these columns are more than a year old now. Another GR100 [well down the road though] has been replaced by the new shopping centre scheme. Two Sapphire 2s on long brackets now stand close together. There are only 3 more GR100s on that road now [but a bit further down]. It would be beyond dire if they relit all the way to the roundabout, nevermind around the roundabout lighting itself. When will councils realise that lighting roads like football pitches isn't the way forward and isn't benefiting anyone? They might get the slightest whiff of failure when the floodlighting of roads is shown to have negligible influence on crime and safety. Another MA50 has gone out on the dual carriageway at the end. This is getting a bit ridiculous now, they just seem to be going out one after the other and with about half of the lamps being changed recently [as they burn out] it seems pointless doing a bulk lamp change - they may as well just keep going and then that should mean if need be, they can do a bulk lamp change next time without bring wasteful. Saying that though, I have never seen WCC do a main road bulk lamp change. A trip to Swindon has unexpectedly turned up a few relics, so Swindon isn't that boring then (well not lighting wise ). Pictures are in the Wiltshire section of my Fotopic site - last 6 images. Quite like those Beta 5 installations... That SGS 201 is interesting! I don't know how it managed to go from post-top to top entry! Apparantly there are some REVO early Hyperions in Swindon too. I'm assuming you didn't find them? Or maybe they have been replaced. The Stanton 7bs hadn't been sleeved in that road for some reason. The Salisbury ones had a different bracket to that though. The SGS201 has been swiped by the tree I think and flipped over on the mounting spigot of the lantern, I'm a bit surprised its still up the column to be honest. As for the Hyperions any idea where abouts? I didn't do a thorough search! I'm not sure because I have virtually no knowledge of Swindon, but Dorsetway told me they were some there. Shall I send him an e-mail? Also, did you get the chance to go through the magic roundabout? On google images, it looks like there is a huge saucer in the middle of it. Yep did the magic roundabout and also a smaller similar one. Its actually easier to ignore the road signs on the roundabout and just head in the direction you want to go keeping an eye out for the road markings. By saucer it take it you mean as in streetlight, if so i didn't, I was concentrating on the traffic! I believe the centre of the Magic Roundabout does not have a saucer. Looking at the still picture, I think I did top left down to bottom right so I actually missed most of the complicated bit of the roundabout - wasn't really looking at the lighting at that point! That's a CU Phosco high mast, like the ones at IBM Portsmouth. A couple of new black painted columns have appeared on the A36 Southampton Rd at the new entrance to the park and ride being built in Salisbury. The main column tube is quite large in diameter/heavy duty, but the at the top of the column it reduces down quite significantly, more than would be required to fit a short out reach bracket. So it looks like the lanterns will be post topped on this reduced diameter "spigot", SGS203 (still being used in south Wilts) or more likely Iridiums (groan) or something else? The park and ride at your end has black Sapphire 2s, and doesn't that off the A338 to Bournemouth have Sapphires too? Black Sapphire 2s on the way, or something different? Something arty like a Calypso perhaps? Today I found some interesting lighting in Box and other villages near-by. Box: Had two Z9555s. on upcranked brackets almongst Z9554Ms and SGS 203s. Atworth: Had quite interesting lighting with mainly sleeved concrete columns and Beta 5s lighting the main road. I also saw a very old bracket [the type Phosco152 found in Marlborough but maybe older] with a GEC Z9481, the only one. Shaw was quite interesting too. A lot of the concrete columns were leaning back! The Spa roundabout hasn't changed. The roundabout on the Gloucestershire/Avon and Somerset border's lighting remains. Mainly MKII Thorn Alpha 8s, but there are also a few SGS 203s, one large SGS102 and a Thorn Civic, still pointing downwards. And I have spotted a few new signlights in Wiltshire recently... LED. The layout in Marlborough's town centre still makes me laugh. Beta 79 and column with leaning syndrome. It seems to lean back more everytime I see it. Note also the picture is making everything lean right too! There's a column where I'm standing with a Beta 79 that constantly strikes up, and turns off. Been doing that every night for a good few years! Beta 5 on dodgy telegraph pole. It has 2 two part cells! Well the car park columns of the P&R now sport flat glass black Sapphire 1s. The existing lighting on the A36 has been turned off by the park and ride entrance works and most of the columns removed. Temporary generators and telescopic mast lights running metal halide are providing the lighting at night. New black painted columns with flat glass Sapphire 2s on short out reach brackets rather than post top, are the new fit. After meeting up with Indust this afternoon I spotted a Thorn Beta 7 in the city centre. 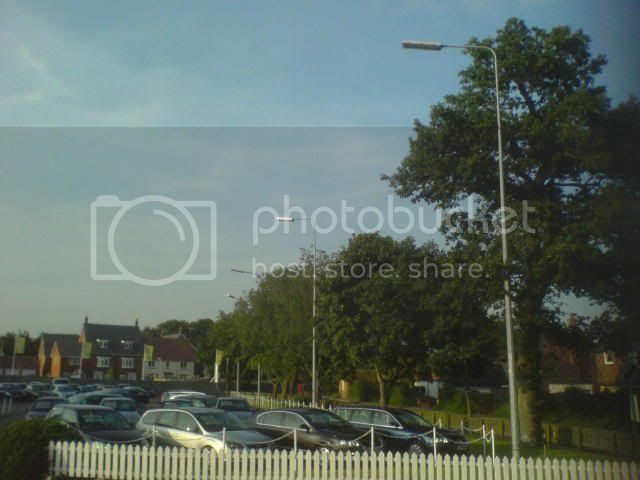 What were the lanterns in the Salisbury station carpark? Saw the Seleniums on new columns and retrofitted to older columns... YUCK! Als saw some QSMs and ZX2/3s. At Westbury there are three unidentified lanterns post-top on red columns. The lanterns were circular and one didn't have a bowl. There are Beta 79s at the working end of the station and some ZX1s but a surprising amount had lost their canopies! 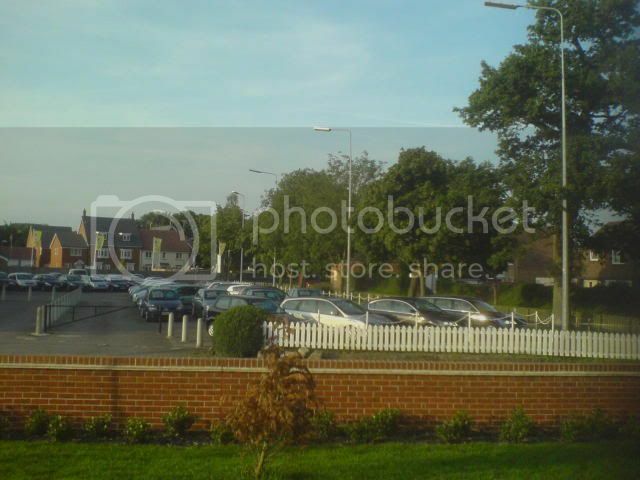 [quote=Phosco152"]Can't remember what the station ones are, sotonsteve knows as they are the same as at Fareham in the car park there. Well recently a couple of Urbis lanterns near me have lost their canopies Click and Click. The ZX1's canopy was refitted and the Sapphire's canopy is still smashed on the floor. The Iridium a few streets away from me has now had no canopy for over a year too, an a Sapphire on the main road from there has it's canopy taped shut with red tape. Both of these are fairly new too! Modern rubbish. UPDATE RE: A36 - Where as on the A30 Park and Ride where a new pedestrian crossing is going in, galvanised CU columns with grey flat glass Iridiums are being used despite black columns and Sapphires being used in the P&R itself. Meanwhile SEC were trying at lunchtime to remove this. However after more than an hour working at it and seeing the Hiab strop actually around the column, it was still holding out and was still there. It was obviously still structually fine then! There's a stump of a big old CU column left in Bradford On Avon [about 2 metres tall], it was up against a wall and was probably nearly impossible for it to be pulled out, so that's probably why they left it. Concrete columns up until the 1950s were very overengineered. Structural issues could arise with brackets, requiring sleeving, but the vertical part of such columns rarely fail. The concrete is so thick and contains such good steel reinforcement that it would take a very significant amount of damage to render the column unsafe. A bit like old S&L steel columns; they require a lot more rusting before becoming structurally unsafe, just because the steel and columns are so thick. I've seen street lighting crews attempt to remove old CU Highway and Byway columns, the ones with the thick rectangular bases that Southampton installed in the 1940s and 1950s. Removal consists of cutting through the column and then struggling for a long time to dig the base out of the ground with a pneumatic drill. A very time consuming process. Compare this with more modern concrete columns which can often be pulled straight out of the ground. Alternatively, more modern concrete columns are much more quick and easy to remove in two stages. With smaller columns, circular saws are only needed for cutting through the steel reinforcement, a sledgehammer will easily break the concrete away. The concrete in younger concrete columns from the 1960s and later is of a lower grade, and the steel reinforcement is generally not as good either. Indeed, Stanton and Staveley used reinforcement that resembled chicken wire in later columns, which is why many in West Sussex have been sleeved around the base. Many of the older concrete columns in Southampton could easily survive until their 100th birthdays. Those on main roads were sleeved when they were around or approaching 40 years old, and even though they have seen in their 60th birthdays they are still as solid as ever. The same cannot be said of younger concrete columns on main roads, which appear to have a tendency for cracking around the column door. Indeed, Stanton and Staveley used reinforcement that resembled chicken wire in later columns, which is why many in West Sussex have been sleeved around the base. The chicken wire reinforcement was only used in the short outreach bracket. Quite often these have minimal or no reinforcement other than the central tube. Another bracket I have seen from probably an Eleco bracket, just has a single reinforcing wire. The sleeved base on Stanton CS1805 columns was due to another issue. All columns will require steel reinforcing wires in the main column tube - they won't stand up without them! A whistle stop trip to Cardiff today had a few interesting lighting elements. On the M4 at Avonmouth at J20 where the M5 interchange is, the columns were being repainted although 3 were just stumps - must have been cut down due to corrosion. There are casual replacements using just about any SON lantern on the approaches to the Severn Bridge including SGS203s, Civics, Traffic Visions and Iridiums as well so the uniformity of the lanterns which were all new when the approach roads for the bridge were built is now spoilt. On the bridge itself, some of the Alpha 2000s have been replaced with metallic dark grey Sapphires and light grey Iridiums. A pair of Alpha 4s were spotted at Newport on a motorway overbridge. The MA60s have gone at J24 replaced with new columns on the concrete central barrier with ZX3s. Nothing of real interest left in Cardiff itself. Most main road stock is now ZX3s although some sox still exists but just about all the concretes are now sleeved. I did spot Gamma 3s lighting a Wickes car park though. Ha ha, Stanton has the last laugh. Despite being 60 years old, that column is not going to retire quietly. It is still there standing proud, the pavement has been excavated all around the column and still it won't come out. Looks like a proper crane rather than a Hiab (despite being a "main road" Hiab) is going to be needed to remove it. Stanton - built to last! Isn't it nearly a year since they removed the sleeve now? . They may as well have just fitted an Iridium on the end of the sleeve [or left it how it was] because it's causing them more trouble than it's worth. If it is structually safe then it shouldn't need to be removed. Also, http://sidesaladsphotos.fotopic.net/p56149363.html and its column have been replaced... An usual small Iridium now sits on a medium length bracket, and I recall the new column had already replaced the older one [which was removed] and it was months before the bracket was fitted! The new one is leaning back a bit, and most new columns installed seem to be leaning back [more commonly] or forward. Maybe they aren't doing the foundations correctly, or they prefer them to lean back a bit? Yep almost a year since the sleeve was removed. Columns should be vertical, have they not heard of a spirit level? 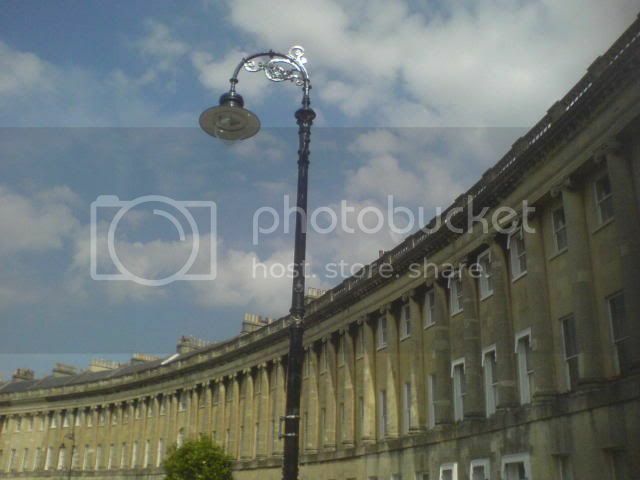 In the old days residential columns close to the kerb edge were often lent back a bit for more clearance of the lamp from tall road vehicles as the bracket often placed it forward of the column and past practice put the column directly behind the kerb stones. Nowadays taller columns and a more "slack" approach to positioning means that is no longer necessary. Although it isn't that obvious, the new column here: http://sidesaladsphotos.fotopic.net/p57956935.html is leaning backwards. Also near the Mouchel [SP?] offices, there is a new 10m column and Iridium [someone smashed into the Z9554 and Fabrikat] which is leaning back a lot for a new column, there is another 10m column & Iridium doing this in our town that also does this near to the last example, the column also got smashed into... It's the small Iridium I talk about sometimes. Then there are the geared MA50s/SRS201s. Most of the columns lean forward with these, even if the base looks vertical! I can't believe how many outages there are in my town at the moment, and problems with general lighting. And these are just from the top of my head, and this is only from the areas of town I pass. Also a Z9554 got a new bowl because the old one fell out but the clips have broken so it is taped up in two places, however the next Z9554 up still doesn't have a bowl. Another roundabout has most of its Z9554s taped up. Trowbridge isn't a big town but this amount of lights with problems is a bit of a joke to be honest. Well you could always report them..
Well a week on and this is still there and has resisted the attempts of SEC to remove it. I wonder when the crane is booked for? Meanwhile a few hundred yards away this also looks like it will get removed at the same time as the pavement and road around it are all taped and coned off. I'm not 100% sure, but these may well be the last surviving Stanton 6B columns left in Salisbury. After they are both removed, will there be any main road concrete columns left in Salisbury? Hmm, now you mention it you may be right, I need to check along the A360 Devizes road but all the other arterial routes into the city are devoid of concretes and there are none left in the city centre itself as far as I know. These were removed at the start of the year and it now looks like this. On the A36 Southampton Road, the existing columns between the new park and ride and the Bourne retail park (Tescos) roundabout, (so from where the new black columns with Sapphires stop, west to Tescos) have had their long outreach brackets removed and new galvanised short outreach brackets fitted. The existing SGS203 lanterns have however been reused - one is even dayburning. Devizes has a lot of replacements looming. One road is having most of its lighting replaced [1970s & 1980s &1990s Z9554s, Alpha 9s, MA90s, SGS201s] with ever a single post-top medium Iridium at 6m [because proximity to wires], or typical columns and brackets with small Iridiums. In all fairness, a couple of the two tone green columns were clearly budget options and we [Trowbridge] have had most of our types of these columns replaced too. Also in Devizes, I saw a car park that used almost exclusively Gamma 5s [I have a picture on my phone but it's not very good] with retrofits of Gamma 6s and column replacements of post-top SGS 201s. This: http://wessexstreetlighting.fotopic.net/p60691343.html was running mercury when we passed [both working in the morning and evening] so it is maintained after all!] The mini-roundabout with 3 different turtles are going strong still, although MA90s down the road a bit are being replaced by taller Sapphires, however these aren't connected yet and there is quite a big dark spot! This roundabout: http://wessexstreetlighting.fotopic.net/p60806790.html isn't doing so well, thre were quite a few outages of Bricks, MA50s, Z9554s and SGS 203s. Meanwhile, there was not a single outage here: http://wessexstreetlighting.fotopic.net/p60691336.html which is brilliant. Marlborough was very interesting. The concrete columns and new column dublicates that I saw have now been removed [just the concretes, not the metals] and Iridiums mainly are on usual columsn and brackets however due to overhead wires, some are on short mid hinged columns and others are mounted to telegraph poles. I have a feeling if the wires weren't there, the concretes would have clung on. Anyway, hope is not lost! This http://wessexstreetlighting.fotopic.net/p55313087.html is still thriving. In addition, not to far from that cast-iron [just around the corner I think], I also got a glimpse of a deep bowled Alpha 5! On the way back, it was still working! But it was the only one of its type on the street in question, that I could see. On the east of Marlborough where you are heading for Berkshire, there are quite a few 1950s 'highway columns' [not highway X] that I was so chuffed with [they remind me of my childhood]. There is the odd one scattered around Marlborough but this road is where the most are. Most are leaning and have varying sleeve lenghts, but all are sleeved with MA90s, gear in base and none have replacement columns next to them. But given how much WC hate main road concrete columns, it really makes me question their future. phosco152, I hope you do not mind me linking to your site so often. If you do, let me know and I'll remove the links. Well this afternoon I found an Elecoslim 820, very similar to this one. It was getting too dark to get a picture, but this is almost certainly the only other Group A concrete column left in the city apart from those listed above. I have added some more photos to the Dorset section of my Fotopic site taken back in the summer - oh, it seems so long ago now and such a contrast to the weather we are having at the moment..
Well I got a better look today when I went to Bristol. Freshford appears to have GRP canopied Sapphire 2s - they are bigger than a Sapphire 1. Dilton Marsh has ALC Nedal columns which are mid hinged. There was a model name on them but unfortunately I couldn't see it properly from the train. It is not a column listed on their web page. Also don't know why I haven't noticed it before, but Westbury has its platforms lit with ZX3s (mainly) rather than ZX1s. They are bowl-less but instead of flat glass it must be flat polycarbonate as there are scorch marks on several of them. Well it stopped raining long enough for me to get a picture of the last Elecoslim 820 concrete column left in Salisbury. There are in addition to this column, only 2 concrete Group A columns left in the city.